In 2004 Cardinal Joseph Ratzinger, now emeritus Pope Benedict XVI, asserted in an interview that “Europe is a cultural continent whose roots are Christian.” In line with Ratzinger’s statement, people have often defined Europe as a project that is primarily based on Christian values. Are European identity and culture historically connected to Christianity or rather on Enlightenment ideas and reason? 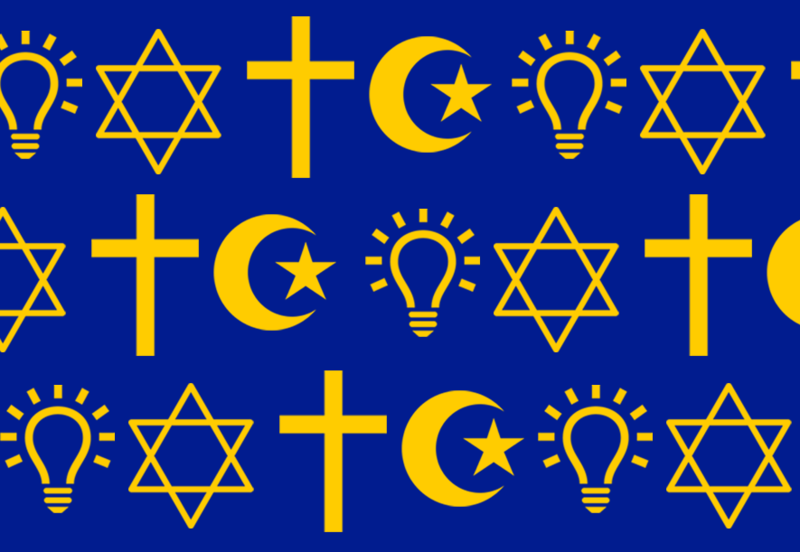 And how does this idea of Europe rooted in faith relate to today’s European society, which sees a decline in the Christian population but a rise in European citizens who identify as Muslim? Is Europe not also a project that is based on pluralism, a place where all voices, no matter their religious roots, can co-exist? In collaboration with Nederlands Kamerkoor [The Netherlands Chamber Choir] and writers Kader Abdolah, Stefan Hertmans and Vonne van der Meer, we dive into European history in search of its Christian, pan-religious or Enlightenment roots, and explore the role of faith in relation to Europe’s contemporary identity. Is Europe on the threshold of an unprecedented religious and cultural transformation where the values that were once central to the creation of Europe no longer hold? Nederlands Kamerkoor will perform a reprise concert of their unique project 150 Psalms for the Forum especially. They will bring to stage Psalms from a variety of composers from different cultures and times. 150 Psalms demonstrates how the Psalms – one of the oldest literary, musical and religious sources on universal themes such as loss, compassion and hope – have been a source of inspiration for people from different religions and cultures around the world. “Out of the depths I cry to you!” For nearly 3,000 years, humans have reached out to the divine through the Psalms, the Hebrew Bible’s book of hymns revealing the gratitude, fear, and longing of the human heart. The project 150 Psalms, initiated by Nederlands Kamerkoor, regards the Psalms as a mirror of society: great themes that are still relevant today. In 2017, 150 Psalms had its premiere in The Netherlands. In 2 days 4 world-renowned choirs performed all 150 Psalms by 150 composers, representing 1000 years of choral music. After its premiere the project traveled to the Lincoln Centre in New York City and the Klara Festival in Brussels. This programme is made in collaboration with Nederlands Kamerkoor.